To buy the plans for just $1.95, click the "Add to Cart" button and I will send the PDF file to your email. Print the plans and go to work. 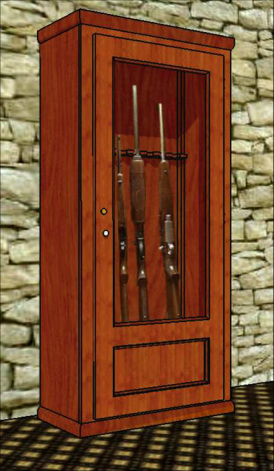 Yes, you can build this beautiful gun cabinet. You will need a circular saw, a drill, tape measure, a square and a functioning brain. That's all I had when I built this one. I am a retired engineer with a passion for building things but never without a plan. Today, with the internet, I can sell a few plans to pay for some of the stuff I build. My brother and I built this pretty little gun cabinet in 2 days. The plans took 5 days. The cabinet is 72" high, 32" wide and 17" deep. Mine is made of inexpensive pine plywood and boards. You can use oak if you can afford it. 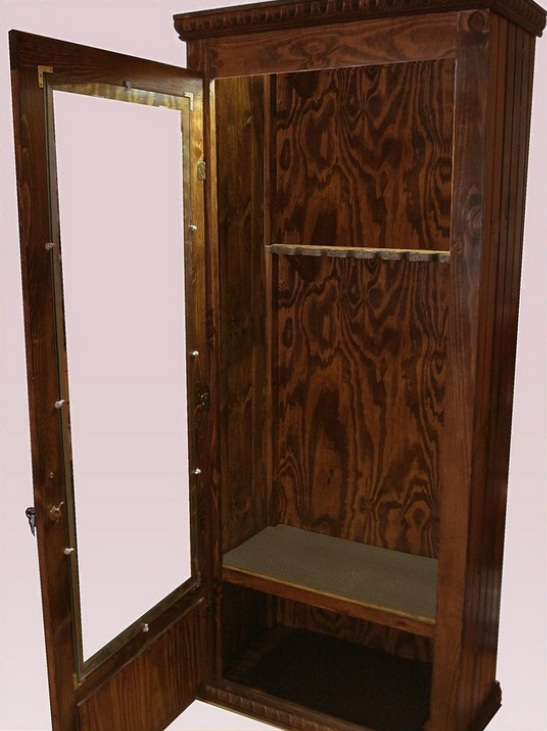 It has a locking door, storage in the bottom and can easily accommodate 9 long guns. Most of the hardware is available at Rockler.com (click on the Rockler link to the left) at very good prices. The plans are absolutely developed for the novice craftsman. Every step is highly detailed. 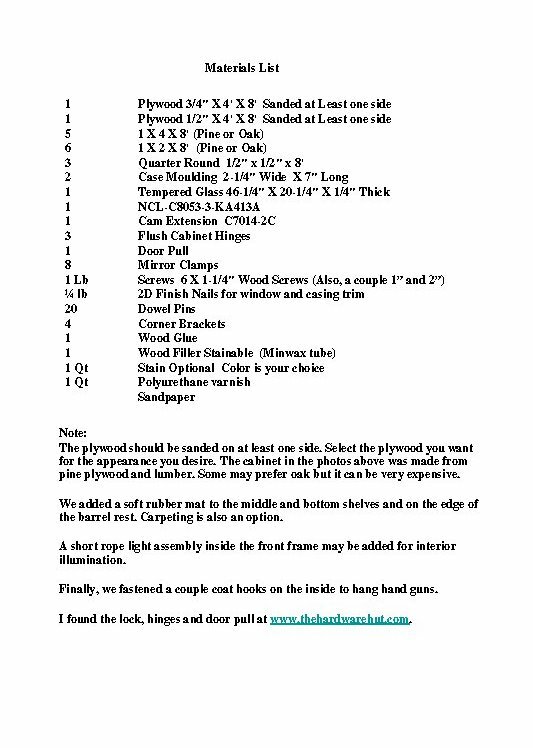 I included a complete materials list and a very clear cut list. If for any reason you decide you are unhappy with the plans, I will refund your purchase price. I am too old to start making enemies now. 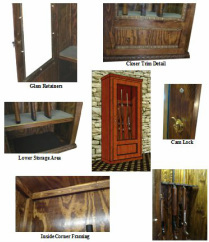 Shortly after your purchase you will receive the plans in PDF Format that you can save or print to build the cabinet.